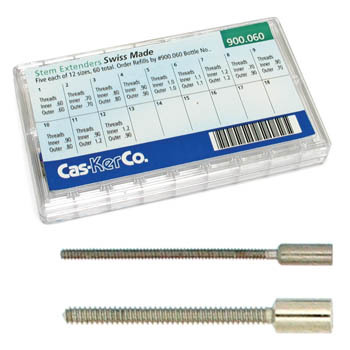 Professional watchmakers trust Cas-Ker for quality watch parts for watch repair, retrofits, and watchmaking. 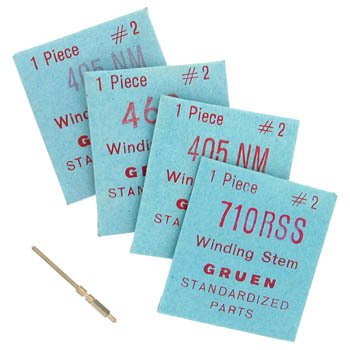 Our selection of watch stems encompasses every size and style you need. 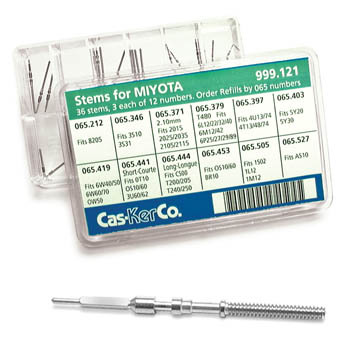 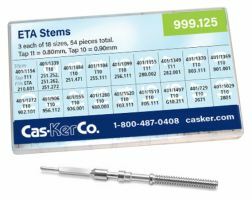 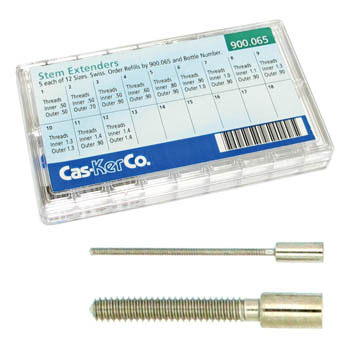 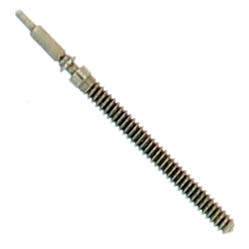 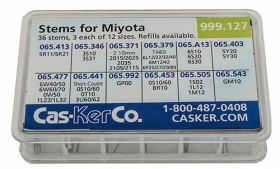 Stems are available individually or in handy assortments that ensure you always have a supply of the most popular parts on hand at your work bench.